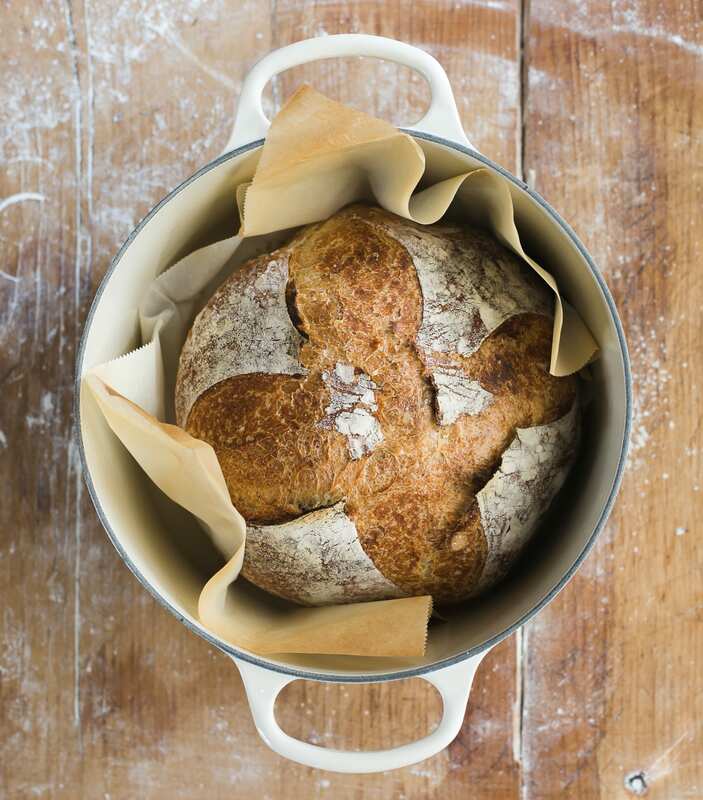 Looking to create incredible artisan bread at home? A covered pot is essential! The lid traps in residual steam, which creates a high rise and crisp crust. I like Le Creuset because their pots can heat up to 450 F and can be used for soups, stews, roasting chicken, and so much more. They are investments pieces (available in various colors).